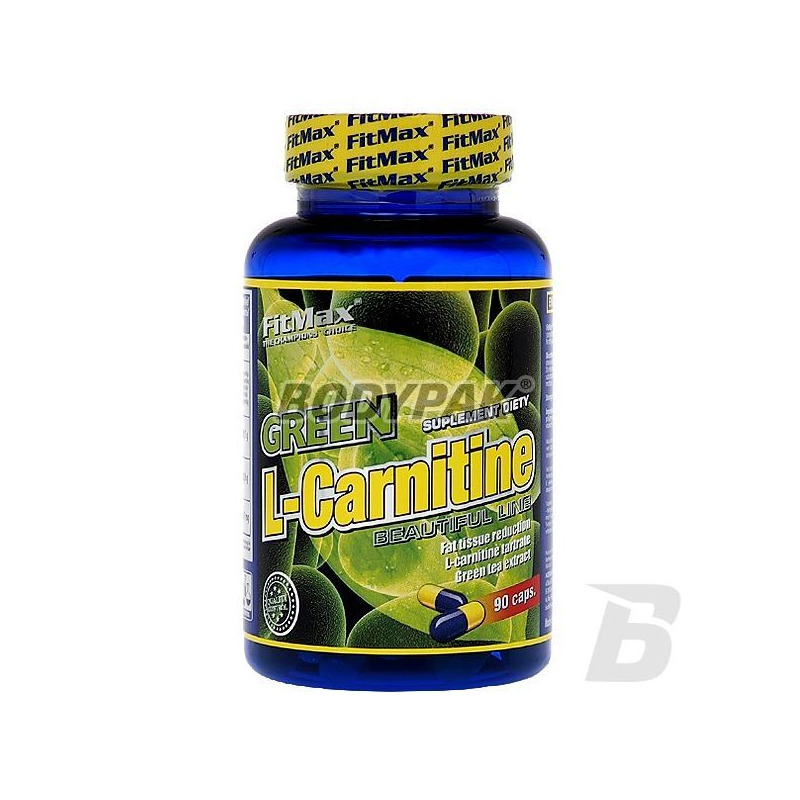 Fat LossFitMax Green L-Carnitine - 90 kaps. High quality L-carnitine in the form of a concentrate. One pack enough to last 100 full serving! Promotes fat burning without causing the yo-yo effect! No unnecessary additives and fillers. 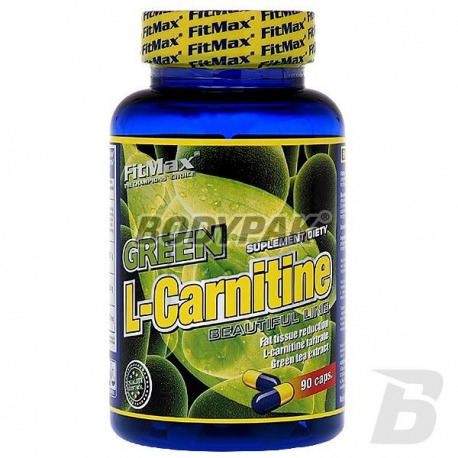 FitMax Green L-Carnitine - 90 kaps. Advanced combination of L-carnitine tartrate with green tea extract, reinforced by the addition of vitamin B1. The product is directed for an active lifestyle. 31 loyalty points Your cart will total 31 points that can be converted into a voucher of 1,24 PLN. FitMax Green L-Carnitine is a dietary supplement is a combination of L-carnitine tartrate with green tea extract, reinforced by the addition of vitamin B1. The product, by increasing thermogenesis, "awakening sluggish 'metabolism and improve the utilization of fatty acids as an energy source, allows more efficient you lose excessive body fat. In addition, it exhibits antioxidant, detoxification and helps to maintain the good condition of the circulatory system. FitMax® Green L-Carnitine is designed for people leading a healthy, active lifestyle, tying great importance to the attractiveness of its silhouette and the efficiency of your body. 1 serving in the morning on an empty stomach, 1 serving in the afternoon. Very good choice for those seeking a way to reduce body fat and fighting cellulite! A high concentration of active ingredient in each capsule. It also affects positively on the immune system and strengthens fight against free radicals.